Also… babies? How about some popplers? But they are living creatures and Turanga Leela was almost killed for being the first one to eat them! they also don’t like rice krispies and unsalted peanuts. What!? You have to feed it one year?! You will probably run out of food! Where did the book come from? It just popped out! 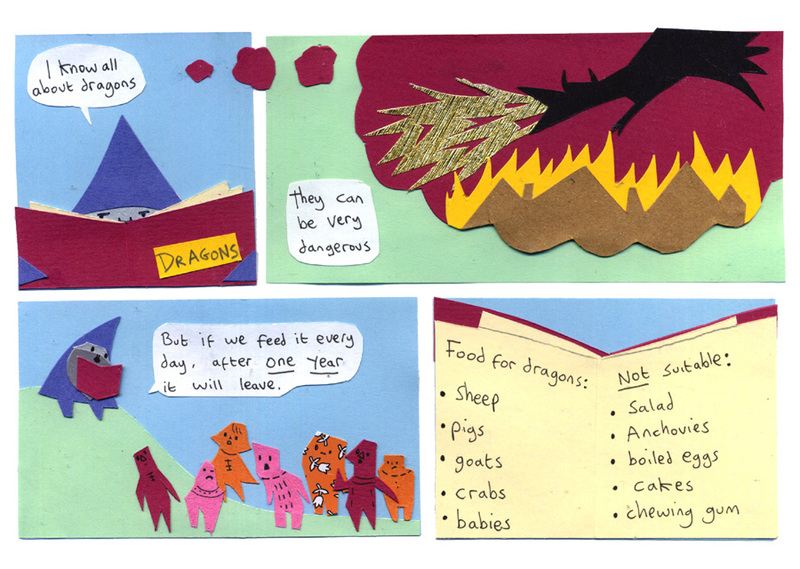 Dragon eat human babies???? brrrr… that’s scary.. Prepare yourself, Mr. Crab. I have even worse news! If the rule is that you must feed it every day for a year, can’t you just feed it one animal a day? Then it’s technically feeding it every day. Can’t we feed it the dullards?